A Canadian man who injured his foot in a fall during a drunken escapade on a Norwegian Cruise Line ship has lost an appeal for damages. The 11th U.S. 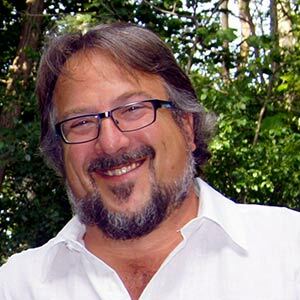 Circuit Court of Appeals on Thursday sided with a lower court that had ruled against Oliver Caron in a case arising from what the court described as "a drunken tumble down an escape hatch" in a restricted area where Caron was not supposed to be. In fact, as you’ll learn if you keep reading, he had to work pretty hard to get where he was not supposed to be. Caron had claimed Norwegian Cruise Line was negligent in allowing him to fall down the hatch and in over-serving alcohol to him, which he claimed led to his fall, according to the court's ruling. The incident occurred in 2015 on the line's 2,348-passenger Norwegian Star, which was sailing in the Baltic at the time. According to court documents, Caron drank beer with fellow passengers at a ship's bar late into the evening, to the point that he felt “completely disoriented.” He then wandered into a clearly marked restricted area, (perhaps not if your eyes are crossed) where he fell through an escape hatch from the ship's bow thruster room. The man’s argument claimed, among other things, that Norwegian had "failed to warn Caron of a danger that was not open or obvious," according to court documents. But the appeals court wasn't convinced. 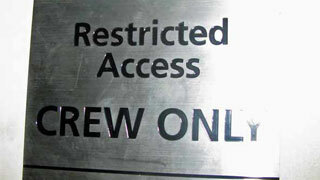 "Instead of returning to his room, Caron entered an area that was clearly marked with signs reading 'CREW ONLY' and 'RESTRICTED, CREW ACCESS ONLY,' the ruling noted. "Pressing on, Caron entered another door labeled 'CAUTION Only authorized crew beyond this sign,' and fell several feet through an emergency-exit hatch, causing injuries." A lower court had issued a summary judgement against Caron's claim that Norwegian was negligent in allowing him to fall down the hatch. The lower court had dismissed the claim that Norwegian was negligent due to over-service of alcohol. The alcohol-related claim was dismissed because Caron failed to make it within the one-year time frame specified within his cruise ticket contract with Norwegian. · A proper Canadian should be able to hold his beer, eh? · Yes, bartenders have an obligation not to over-serve, but it’s not always easy to tell. Blaming someone else for your over-consumption is lame. · He had a perfect ‘I was so drunk once that I did something really stupid’ story. Now he has a ‘I lost a three-year lawsuit’ story. Weak.